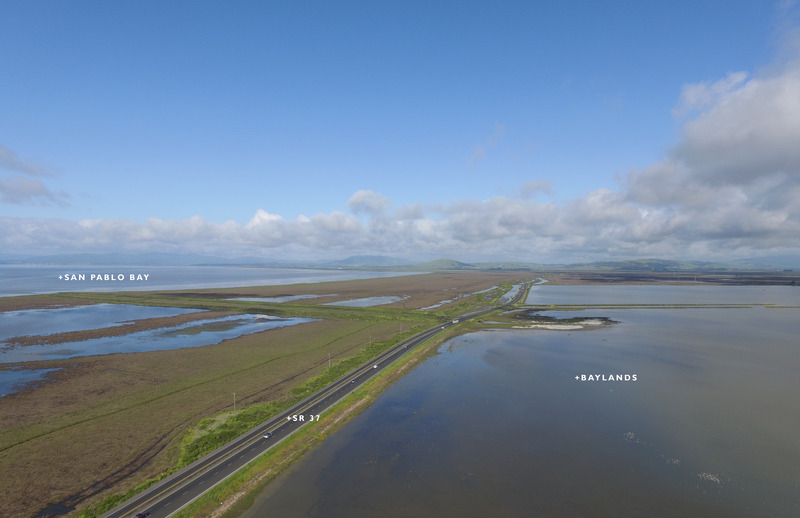 The Grand Bayway vision promotes and advocates for the implementation of a continuous loop connecting all North Bay communities across the SR37 corridor and along the perimeter of the vast North San Pablo Bay Baylands. 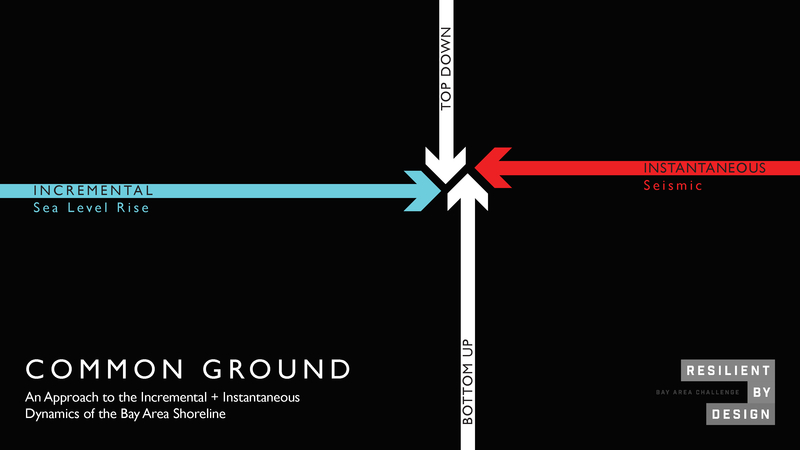 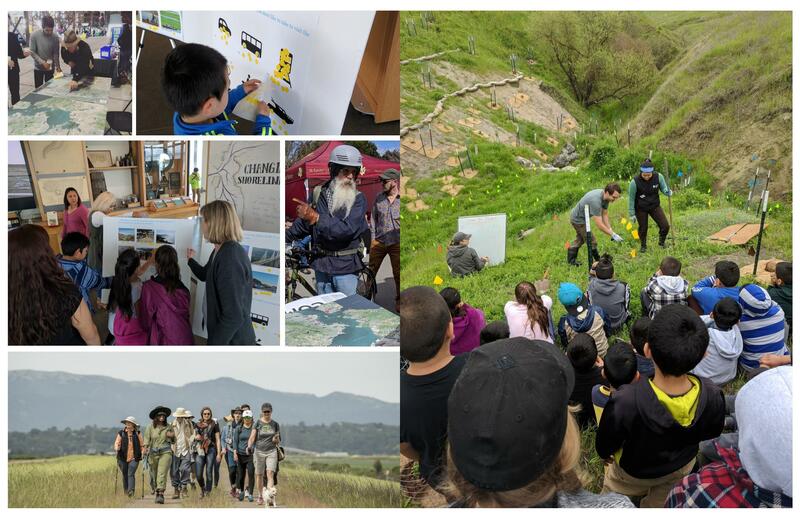 The proposal looks at a resilient future for flood-threatened and congested State Route 37 connecting the northern edge of San Francisco Bay as well as a connective framework for the natural adaption of the tidal complexes and restored marshes. 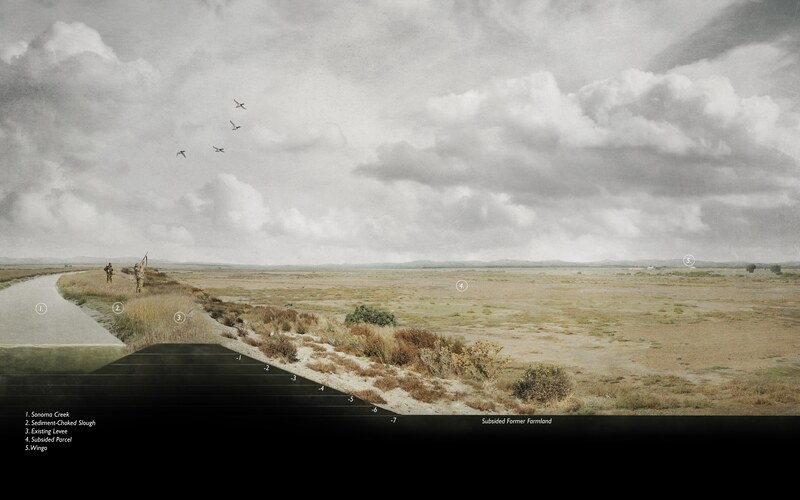 Erik led the design as Principal in Charge, the project prime while at TLS Landscape Architecture. 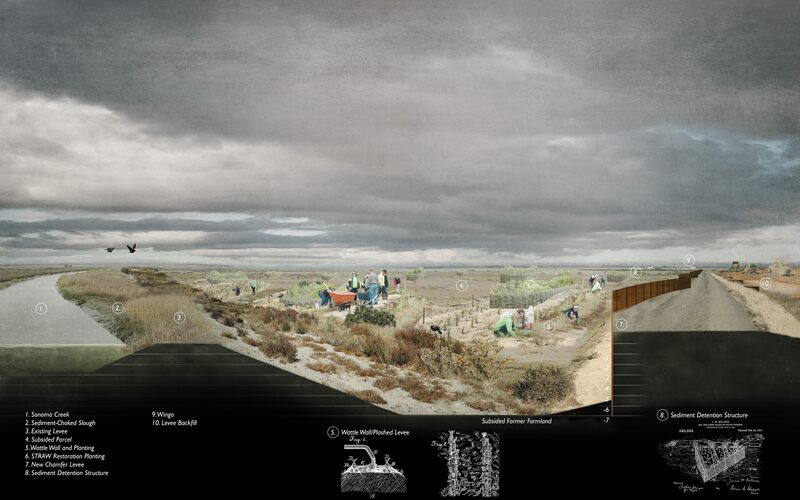 Images courtesy of TLS Landscape Architecture. 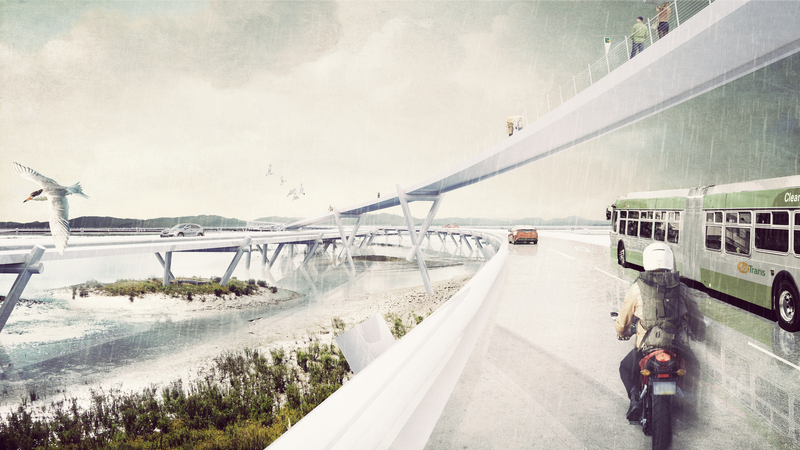 The project proposes to resolve the transportation problem of Highway 37 by designing a scenic causeway and parkway elevated on columns 20 feet high, allowing tidal flows and marsh migration to return to their natural condition. 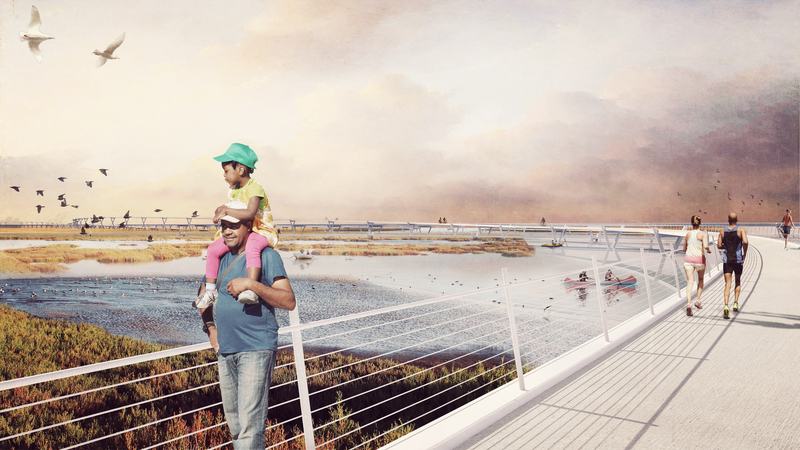 The causeway is designed with the same ambition and flair as other iconic bay crossings but based on 21st-century sensibilities for the natural environment and diverse transit types, not just vehicles. 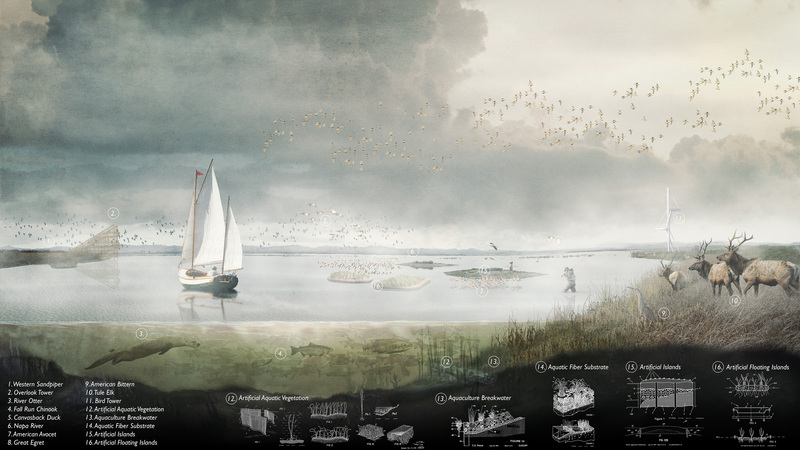 This design is based on the ecological and landscape principles of scenic byways and parkways, curving to open views over the bay and marshes and oriented to natural landmarks while allowing for passage of hydrology and key habitat underneath. 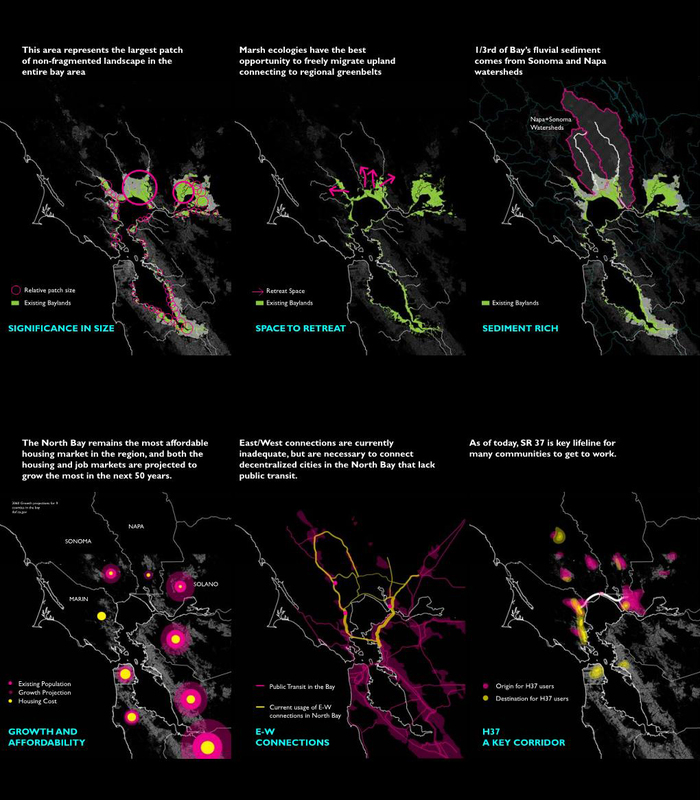 Lane directions, as well as the Bay Trail, are “unspooled” and flow independently like the sloughs they traverse, creating access to open space below. 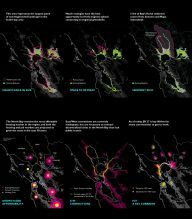 This level of investment in design and visibility for an ecological “Central Park” will return major value for the region, its identity, and its future. 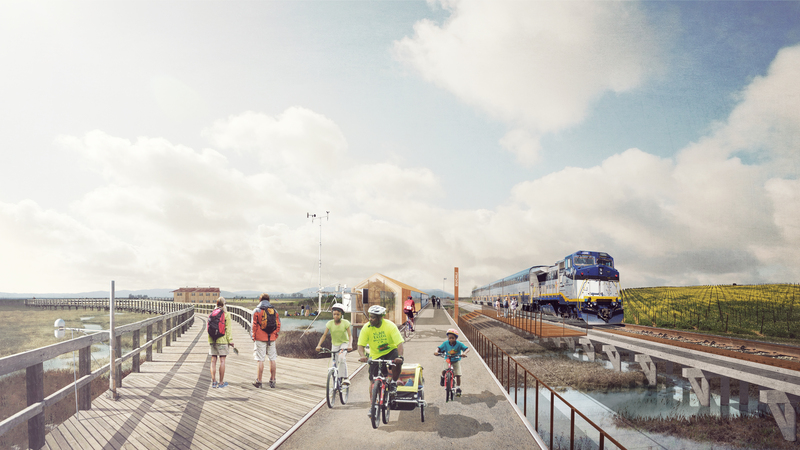 A great mobility loop will encompass the open space involving pedestrian and bike routes collocated with an excursion train using an existing freight line. 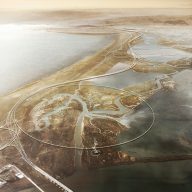 Integral to the concept of a loop is to provide multi-modal, redundant means to travel through the area should SR37 be closed due to flooding or a seismic event. 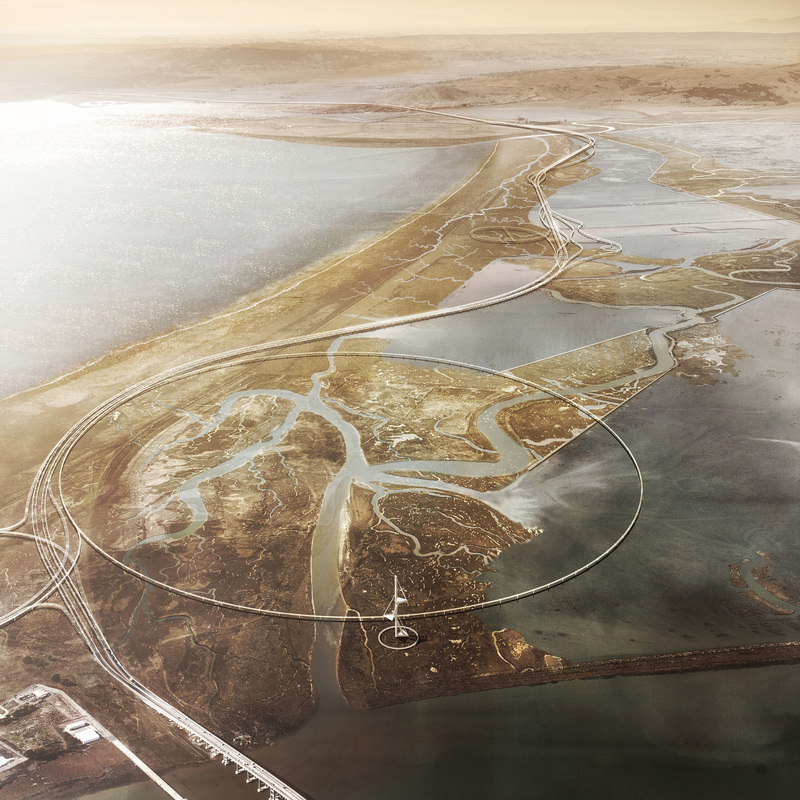 The huge Baylands complex is of course inextricably linked to the resolution of the highway. 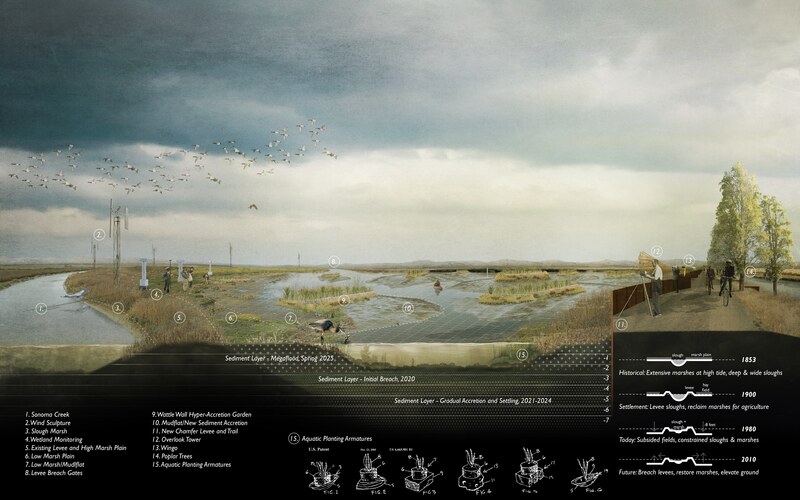 To prepare for rising sea levels, the project proposes to create an ecological laboratory working strategically with streams and diked sloughs to incrementally re-engage sediment deposits and cultivate biodiversity through various means including “sediment trains,” hyper-accretion gardens, and floating wetlands.